These cabin home plans are defined by size, simplicity and a connection to nature. They range from many shapes and sizes and are designed to offer everything you need for weekend stays to luxurious layouts that offer all the amenities and comforts of home. What they all have in common are great experiences, wonderful memories and relaxing getaways. The following five cabin designs feature engaging character, clean footprints, economic efficiency and genuine comfort. 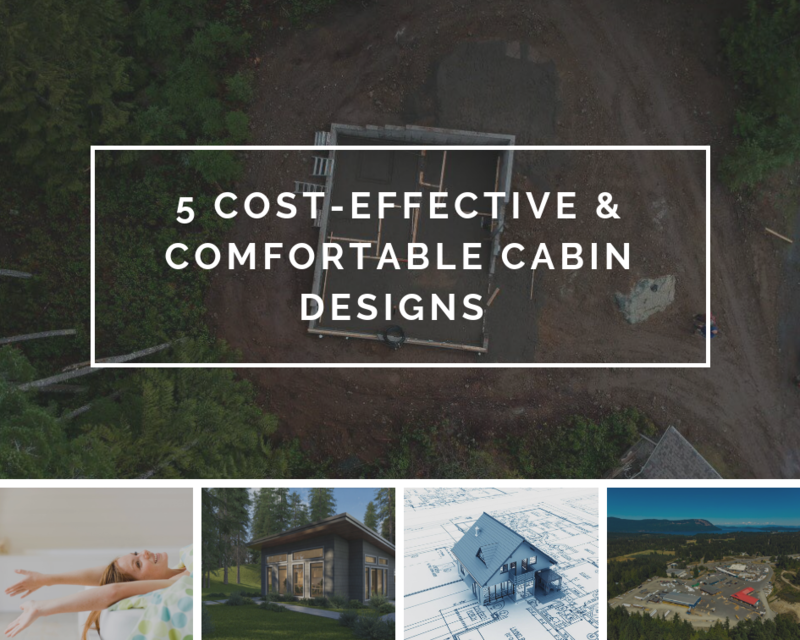 As affordable as a cabin can be, you can make it even more cost-effective with organization and pre-planning prior to construction. You can spruce them up as little or as much as you like with finishes and details ranging from modest to extravagant. This cozy west coast modern contemporary design is perfect for an in-law suite, get-away cottage or guest cottage. The large windows and vaulted ceiling bring in an abundance of natural light to the main living area. This chalet style cottage includes two levels with the upper floor dedicated entirely to the master suite creating plenty of privacy. The Nespa features three bedrooms, two baths, an open concept to the great room, dining room and kitchen, with vaulted ceilings and large windows for taking in the beautiful view. This country cottage features two bedrooms and a conveniently covered porch accented by a contrasting roof-line that adds texture and appeal to this design. This one-storey cabin combines simplicity and accommodation including two bedrooms with ample closet space, a separated laundry room, and convenient rear entry. A spacious living and dining area with vaulted ceilings flows from the sizable kitchen with sundeck off the front, perfect for cottage entertaining. This delightful cabin includes a large living room area leading out to a sunny deck, great for all your indoor/outdoor cottage moments. This makes for a perfect Cottage, Laneway or Auxiliary Dwelling Unit! Contact us now, find out how we can help you build your home away from home.